We at Voinext have dedicated ourselves to finding essential tools to help increase your sales/customers conversions through your online presence and to make internal business collaborations more efficient. 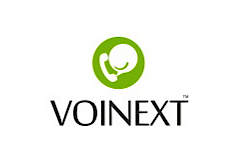 Founded in 2016, combining latest IT innovations from Israel, EU and USA, Voinext is a leading provider of innovative B2B, C2B, B2C interactive solutions. The company has created a unique platform that addresses the present and future communication tools for providing communication services and online voice & video for B2B, C2B, B2C communications/collaborations and all other business phone/online Voice/Video communication requirements.